OJAI, Calif., April 27th, 2011 – Leading Brewmasters and the nations finest craft breweries are joined by some of the Gold Coast’s finest chefs to present the next exciting installation of the now 2nd Annual Salute! Celebrating Finely Crafted Beer & Food presented by Ojai Beverage Company (OBC) and Thirty-Three Productions, Inc. (33). Taking place during Fathers Day Weekend, on Friday, June 17th from 6:30pm – 10pm enjoy the Salute VIP Pairing Dinner presenting “Dr.” Bill Sysak, Certified Cicerone of Stone Brewing World Bistro and Gardens who will present rare and special reserve beers alongside Ojai Beverage Café inspired food. VIP Tickets, which are $85, include admission to the VIP Pairing Dinner & Beer Reception on Friday, plus entry one hour prior to the Unlimited Tasting Session on Saturday. 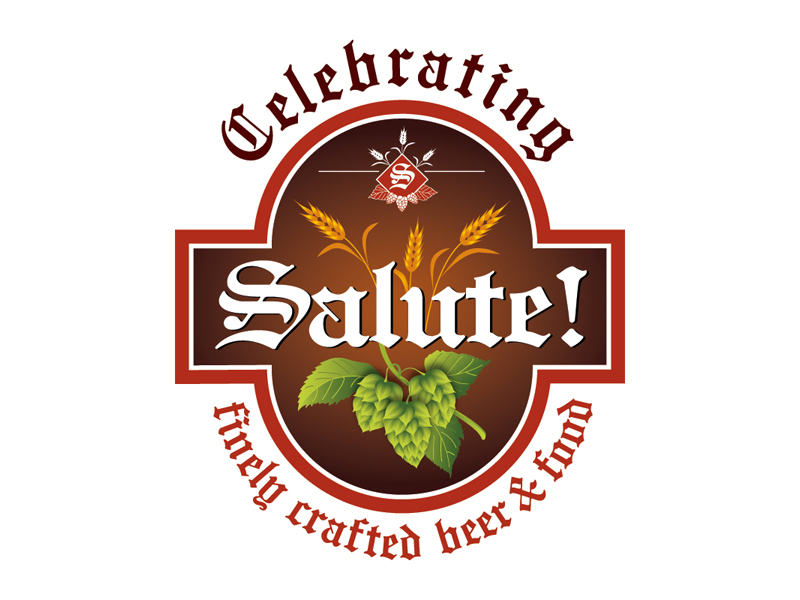 On Saturday, June 18th, 2011 from 2pm – 6pm we invite guests to the Salute! Unlimited Tasting Session, which will feature over 100 beers paired with a variety of delectable food items prepared by the regions finest chefs. Tickets to the Unlimited Tasting Session are $40.00, and include all of the food and beverage served at the event. Salute! 2011 is proud to bring the event to its hometown location outdoors at Ojai Beverage Company, in the beautiful Southern California destination getaway of Ojai, CA. This latest installation of the Salute! branded series of tasting events is designed as an exclusive beer & food lifestyle event that for one ticket price features unlimited tastings of a beer connoisseurs selection that also offers pairing stations co-inspired by “Dr.” Bill Sysak and Joby M. Yobe of Ojai Beverage Company. Each station will offer a variety of delectables created by leading Brewmasters & Chefs, alongside more than a hundred different brews, Brewmaster edutainment, and live music from sought after area musical performers. The Salute! brand has become synonymous with the rapidly expanding beer & food pairing trend and is noted as the first large scale event of its type in the California region. The continued partnership between Presenting Sponsors, Ojai Beverage Company and Executive Producer, Thirty-Three Productions, Inc. insures this event to continue its already established first-class quality as a premier food and beverage event, in a class of its own. “I am ecstatic about bringing Salute to our beautiful town of Ojai. The dream marriage of finely crafted beer and food lives on. I am looking forward to collaborating with the Chefs and Brewmasters again this year.” said Joby M. Yobe, co-owner of Ojai Beverage Company. Tickets for Salute! go on sale today or can be purchased at Ojai Beverage Company located at 655 E. Ojai Avenue, Ojai, CA. Thirty-Three Productions, Inc., was established in New York City and Los Angeles and is now headquartered in Ojai, CA. For further information, please see: www.33productions.com.